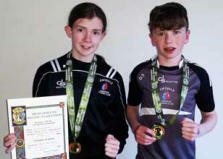 Boxing Club: 2 boxers from the Emyvale Club entered into the Senior Cadets, the finals of which were held on Friday night last in the National Stadium, Dublin. Kaylin Geary came home with Gold and Dylan Sherry won Silver. On Saturday Sean Mc Cabe won Silver in the Mid Ulster Championships, which was held in Omagh. Well done to these contestants and to the club. 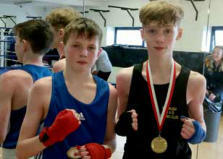 Obviously they are being trained to a very high standard and can hold their own among the top boxers in the country.